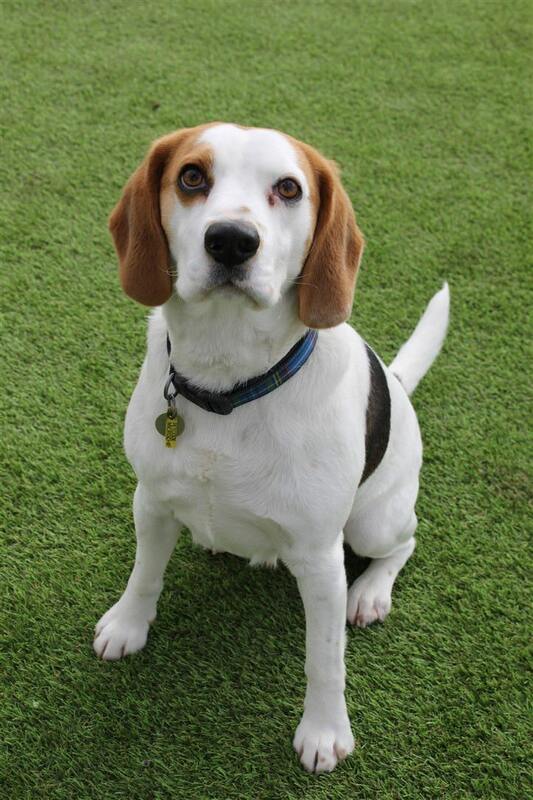 Pepe is a 6 year old Beagle who originally came to us back in 2013 when he was just 9 months old due to allergies. He was quickly adopted but was sadly returned to us over a year later due to his new owner’s terminal illness. Again, Pepe was adopted but was returned after only a few months but this time due to resource guarding. Pepe will guard items such as toys and food etc and has bitten in the past as a result of this. Any future home needs to understand this and be fully prepared to commit to him and work with our behaviourist. We feel he needs a quiet, relaxed adult only home. He needs a sensible owner with experience of rescue dogs and preferably experience of dogs with behavioural issues. He will need a home without any visiting children or children planned for the future. He will bark at other dogs on walks and needs to be the only pet. 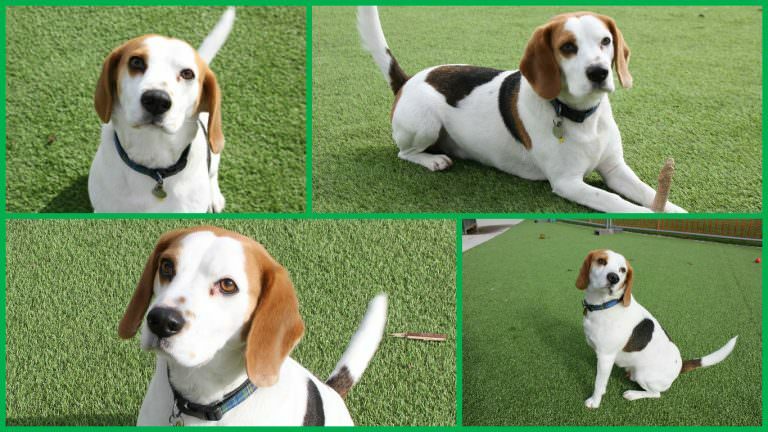 Pepe is generally a very loving and outgoing boy. His behaviour is not always apparent when you first meet him so his new owner must be prepared to spend several weeks getting to know him. Ideally they will need to live locally so that they can take Pepe home for slow introductions into the home before adoption. 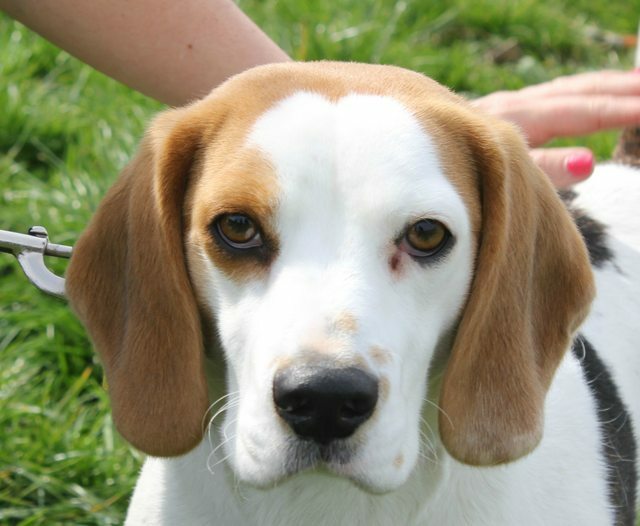 Pepe is a typical Beagle who loves his walks and will therefore need a very active home. He walks well on the lead and is generally clean. He loves to play with toys and spends most of the day snoozing in his bed. Poor Pepe is still only young and has already had 3 homes. It is not surprising that he is beginning to feel insecure and his behaviour is reflected in this. We need his next home to take on board everything we say about him and follow all of the advice given. He needs someone that understands him and is willing to work with him to overcome any problems and help him to settle down. Pepe is a sweetheart and will make a wonderful friend, he just needs to find the right home to feel content and settled.